What with the price of vinyl now becoming a viable distribution method for only the Bill Gates-inclined elements of the industry, Awkward Silence Recordings have sacked off the venerable 7" in favour of a dinky-as-you-like 3" series. 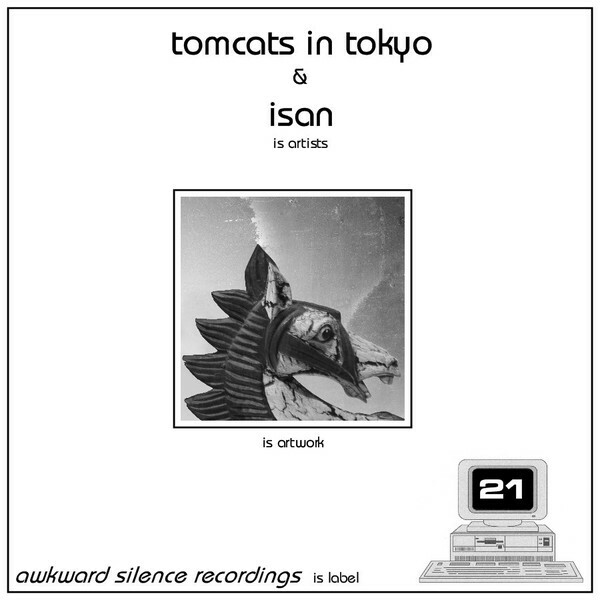 Following on from the soopa-doopa instalments from Maps+Diagrams, Uga and Nautilis, this split release features the much loved Isan and Tomcats in Tokyo; the latter providing a new track and the former subjecting it to a remix. So on the (imaginary) A, 'Metamorphine' is a gorgeous scuff of crispy electronica, spiralling here there and everywhere as oscillators thrum, bits pound and it all concludes with a rain-lashed 22nd Century cityscape... On the back (work with us here) Isan gut the original and slow it down, preferring to fold layers of muted digitalis (very much an Isan trademark) into creamy soundscapes and slow-motion beats. The result? Loveliness.